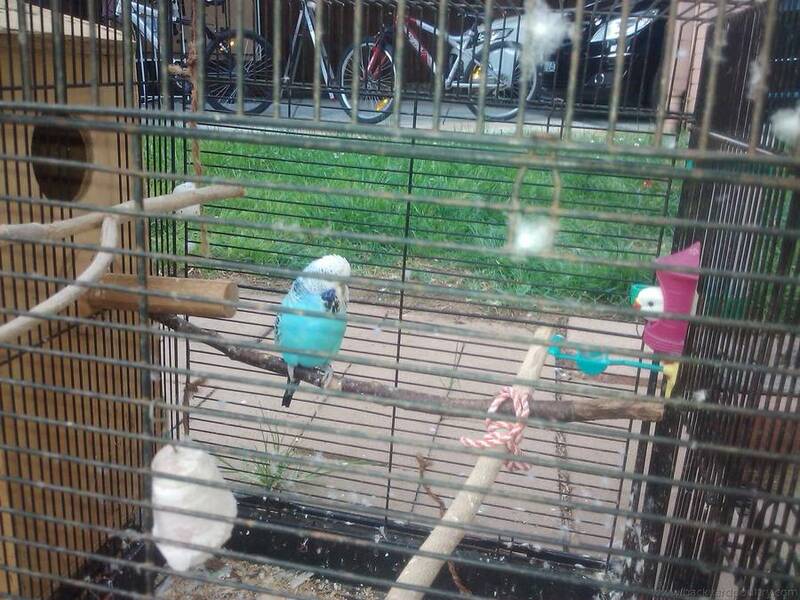 I have a pair of English budgies for sale. Includes a big cage, big nestbox, waterer and remaining food. Male is grey and Female is blue violet. They produce beautiful babies. I have pics, if give more details and pics if further interested. I'm very intrigued... what is an "English" budgie? that is easy Winglet they have a british accent. i would like to see a picture if possible kiran619, for curiousity purposes please. I'd guess that they are solid, show-type budgies, not the slim, little pet-shop type of budgie Just a guess though!! It makes you wonder what could be next, English Emu's? Budgies are ofcourse, australian natives. Much of the work in breeding and selecting for colours has been done overseas, especially in england and europe. I believe much of the work with rosellas is being done overseas too. It's a shame really, that we can't claim the glory here in Aus. I much prefer the original, wild-type, small budgerigars... the ones with the original wild colouring. Even budgies sold as pets are usually considerably larger than the wild ones. I can see though, why people breed for different colours, size & feathering... just as they do in pigeons, doves, waterfowl, poultry... and many other creatures. Having Googled after posting my earlier query, I see that "English" budgies are, as bwds alluded, essentially those bred for show (not the exact definition, but for practical purposes close enough). I hope you find someone interested in them, kiran619. Just because they are club rung,doesn't mean a lot. Thanks, they still for sale.